A few weeks ago I had a chance to visit the Südtiroler Archäologiemuseum in Bolzen. 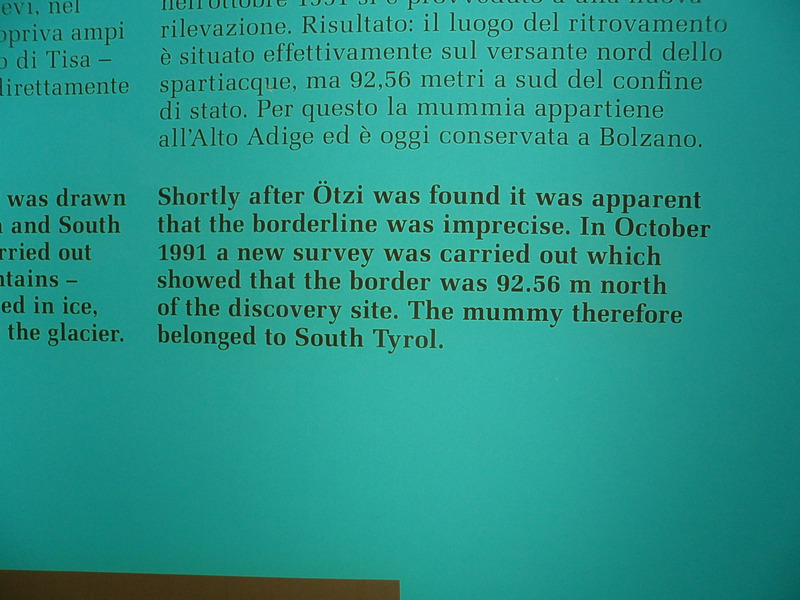 The modest stone building is the current home of the famous mummy of Ötzi, who died in an Alpine pass about 3300 BCE. Photographing the artifacts, including several sturdy longbows with the knife-marks still visible on their surface, was forbidden, but I did take a photo of this reconstruction. 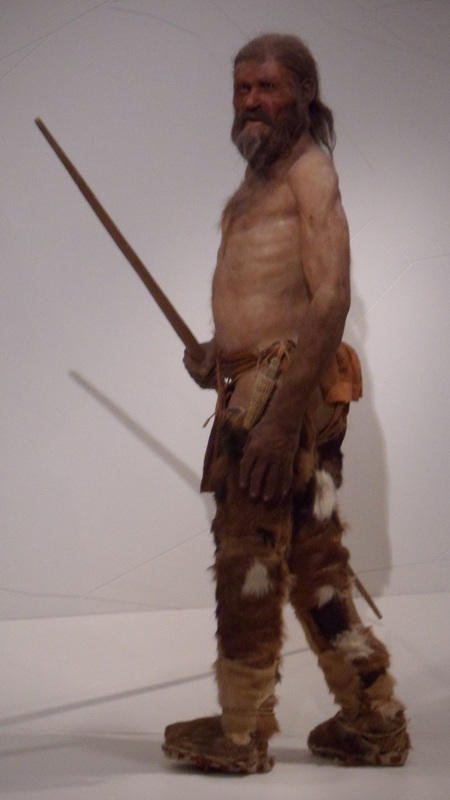 A reconstruction of Ötzi, from the Südtiroler Archäologiemuseum, Bolzen. Ötzi was shot in the back with a flint arrow and left to bleed out, his precious copper axe and bearskin coat abandoned by his killer. An early snowfall then froze his body into the edge of the glacier, until warming air in the twentieth century revealed it. Its impossible to know why he was killed, and I will leave the speculation to those who know more about Europe 5300 years ago than I do. Yet I left the museum more convinced than ever that a view of the ancient world which begins and ends where the remains of Greek and Latin literature do is much too narrow. Texts from Egypt and Southwest Asia can only take us back into the third millennium BCE, not into Ötzi’s world of farmers and herders at the end of the fourth, but they let us go earlier than any other kind of text, and archaeology and philology with all their limits have things to tell us too.